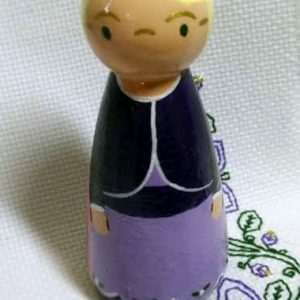 Catherine comes off the pages of the book as a hand-painted peg doll. 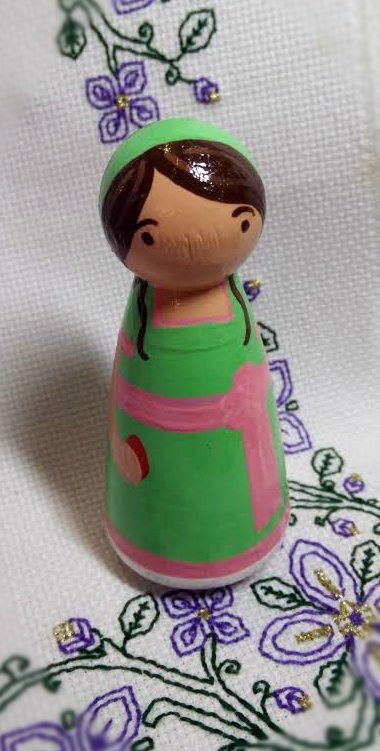 The Pascha service is over, and she has a red egg in her hand, ready to find out who has the luckiest egg. 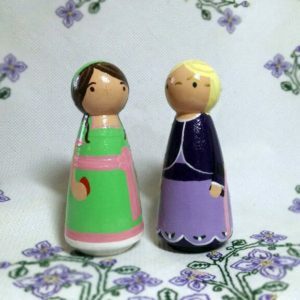 Each Catherine peg doll is 3.5″ tall, solid birch, painted and sealed in non toxic acrylics. Created exclusively for Catherine’s Pascha by Edmund and Ambrose.